The one thing I found strange about the UK, is that they serve really good Indian food and kebabs. I would expect them to dish up good bangers & mash, fish & chips, burgers, pork pies and Sunday roast, but kebabs? A kebab-lover friend recommended that I try Taza Kebab House in London. He couldn’t remember the name of the shop, but he said it was situated between the Bayswater and Queensway tube station. 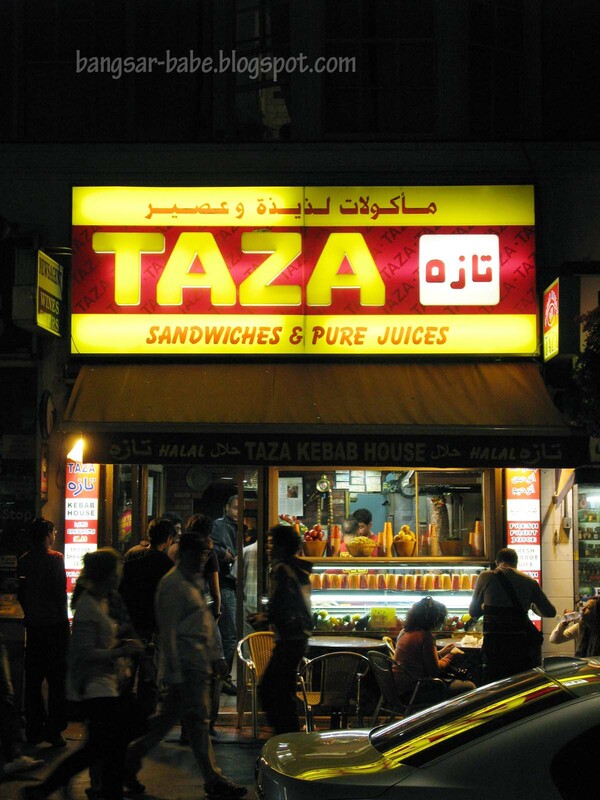 Taza Kebab House was the only kebab shop between the two stations, so I figured that was the one. The shop was tiny — there was seriously not enough space to move around. At Taza, the pita breads are toasted, resulting in their lovely, crisp exterior. 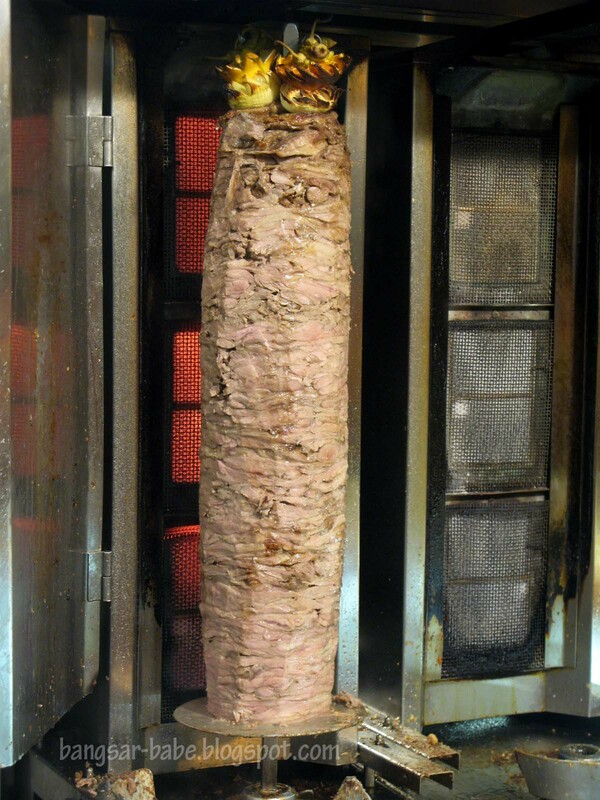 Each kebab is made to order. 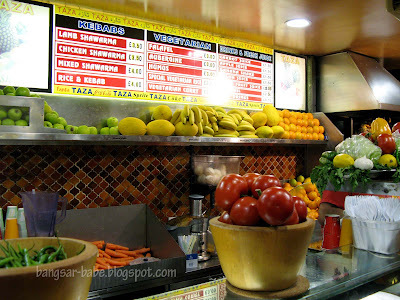 You get a choice of lamb or chicken sharwarma – I had the lamb. The men there are not the friendliest people around, but they are not rude either. 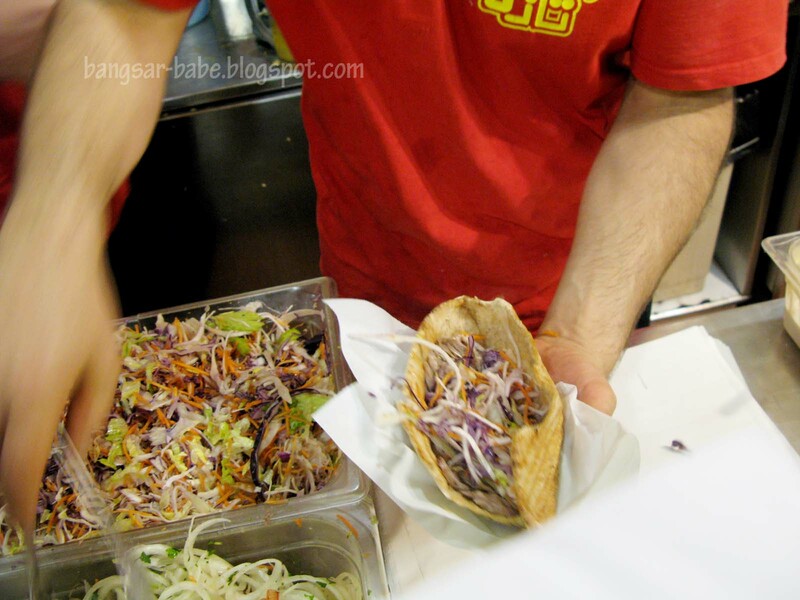 You place your order at the counter, and watch as the guy toasts the pita bread, fill it with salad and lots of shaved meat before passing the kebab to you. 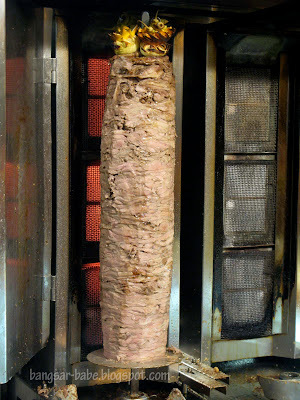 I have to say, this was possible the tastiest kebab I’ve had in UK. Not only were they generous with the meat, they loaded the kebab with plenty of sauces. The lamb was nicely seasoned, giving the kebab plenty of flavour. For £3.50 a pop, I found it pretty good value for money. If you’re lucky like me, you will only need to wait for 10 minutes. Otherwise, be prepared to wait for 20 minutes or more! Verdict: The kebabs make a great snack, especially after a few rounds of drinks. and their kebabs are huge! haha thats bcos london has the most indian population after india! has to be good indian food. 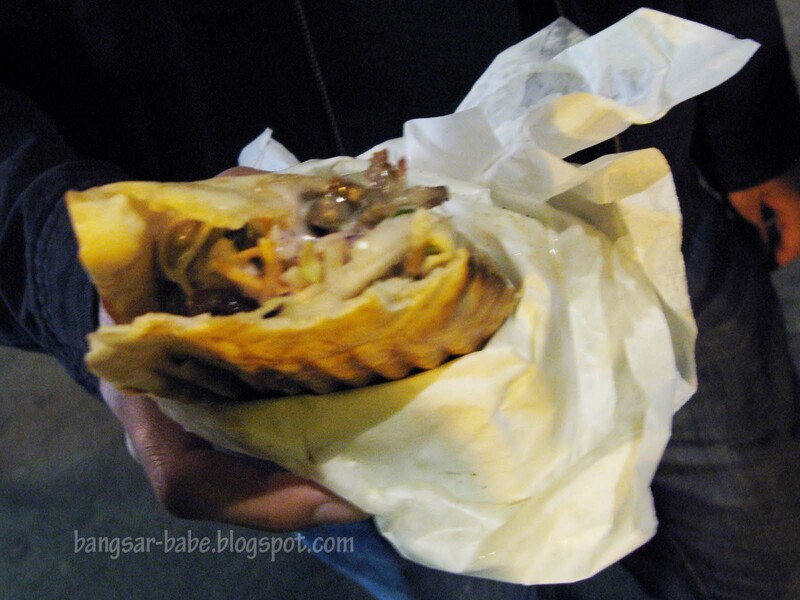 as for kebabs, maybe the same with the greeks and lebanese? 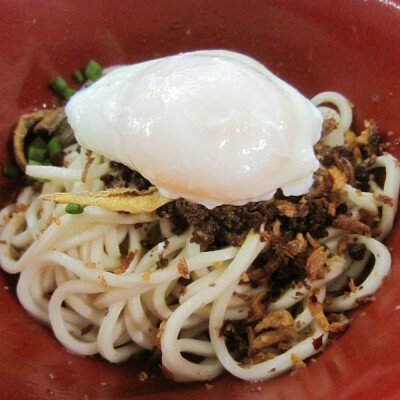 whenever i had a chance to go to london, going to the malaysia hall canteen for late lunch is a nostalgic must do agenda. on the way back, i usually dropped by and tapau(take-away) TAZA delicious lamb kebab meat and chicken kebab meat only (without the flat bread and salad). packed and knotted the packing very tightly with double layer plastic bags before putting it carefully in the back pack, so that the kebab aroma didn’t leaked away too much and annoyed other commuter traveling in the tube. later on late in the evening, reheat the kebab meat and enjoy it with steaming nasi panas(rice). 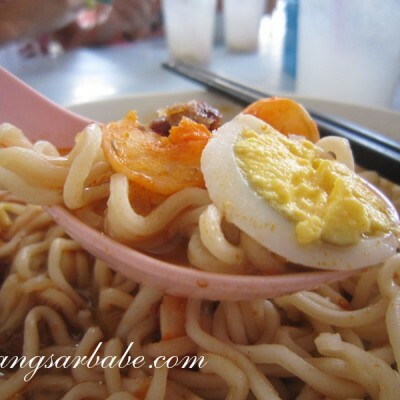 wow heaven, sedap beb.